Microsoft's new Anti-Virus, Morro revealed. Microsoft’s new Anti-Virus, Morro revealed. 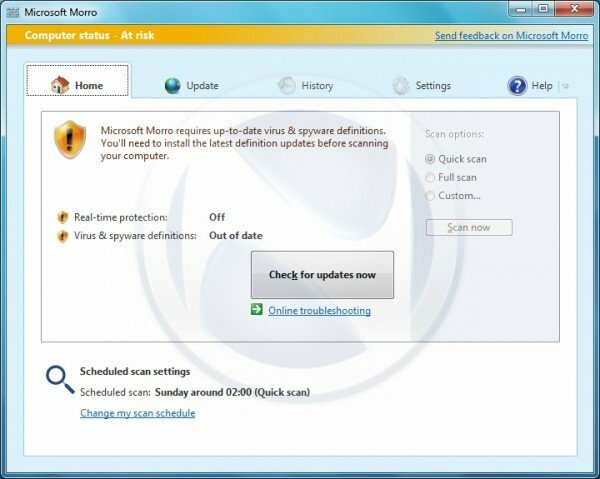 Microsofts new antivirus Morro, named after a beach in Sao Paulo, Brazil, is already being tested by Microsoft employees and a trial version will be made available “soon”. Microsoft has stated that Morro would be available by the end of 2009 at the latest. Neowin has received three exclusive screen shots of the upcoming anti-virus suite from an anonymous tipster.